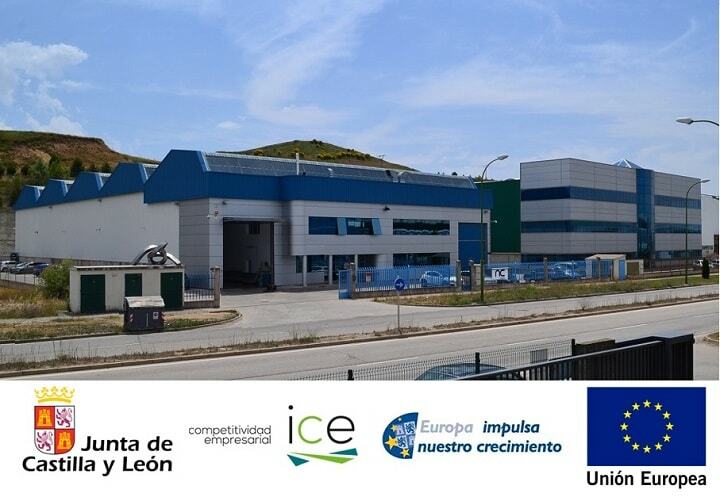 Following the refurbishment of NC Service´s new building, this is now fully operational for the year ahead. These new premises perform two key functions: to serve as a show room to allow customers to see all the details of the newly-retrofitted machines; and as a storage area for the machinery purchased on the second-hand market prior to retrofitting work. In our desire to innovate and progress, at Nicolás Correa Service, S.A. we´ve decided to celebrate Christmas and close 2016 with an improved and upgraded website, offering new features and sections for a more pleasant and intuitive browsing experience. 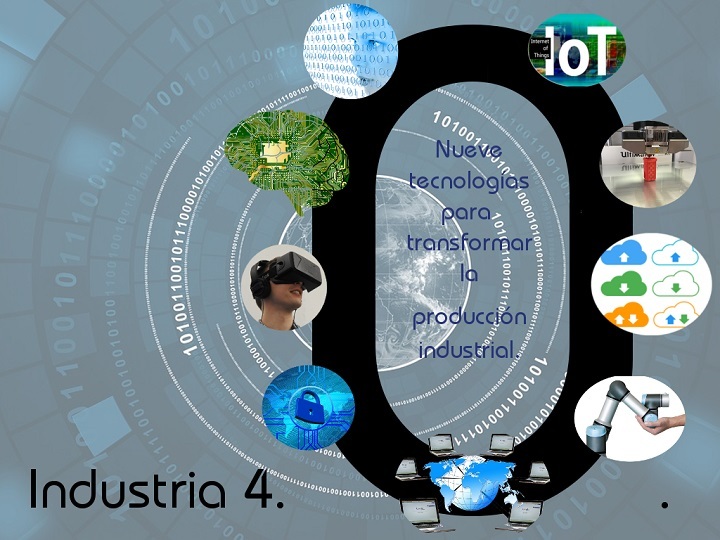 At Nicolás Correa Service, S.A. we´re aware of the need to take on new challenges that will help us to progress and innovate in our processes and services, in order to improve the quality of our products and the satisfaction of our customers. 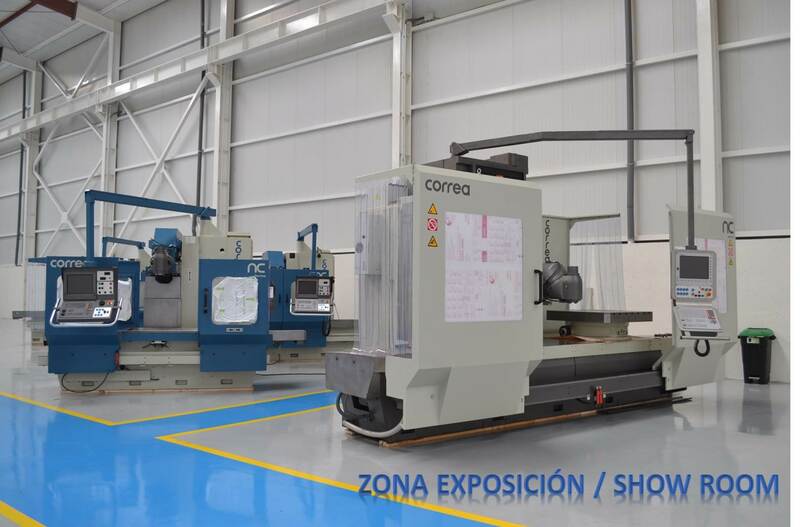 Nicolás Correa Service, S.A. has recently purchased the building adjoining its current premises on the Villalonquejar Industrial Estate, in line with the company´s objective to strengthen and grow its second hand milling machine retrofitting business. 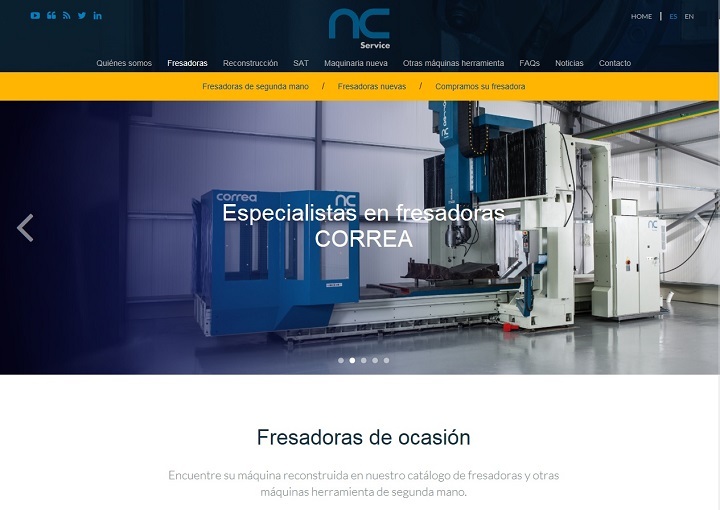 Nicolás Correa Service, S.A. has become a pioneering company in the industrial sector in Burgos by hiring several young people as specialist technicians through a dual vocational training programme. This programme will cover both the theoretical training of these technicians, and their practical and job training, which will take place at the installations of NC Service based on the needs of the company concerning the reconstruction and technical assistance of CORREA CNC milling machines. 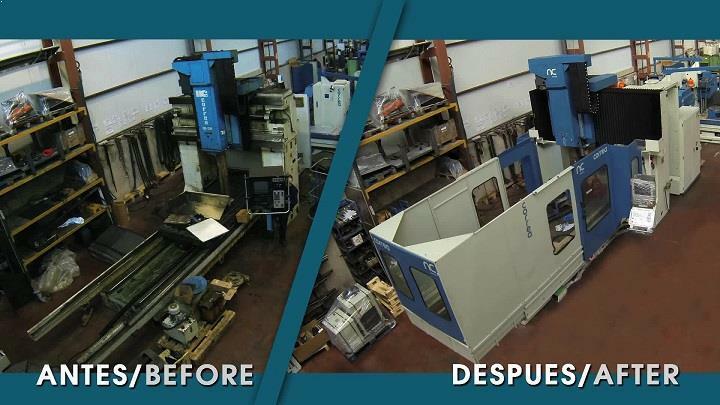 Nicolás Correa Service, S.A. filmed the entire mechanical retrofit process of a CORREA FP30/40 gantry milling machine, carried out for a leading manufacturer in the foundry sector in England. In its issue dated 24th December 2015, the Diario de Burgos daily newspaper reviewed the progress made by Nicolás Correa Service in its online marketing activity over the last few months. 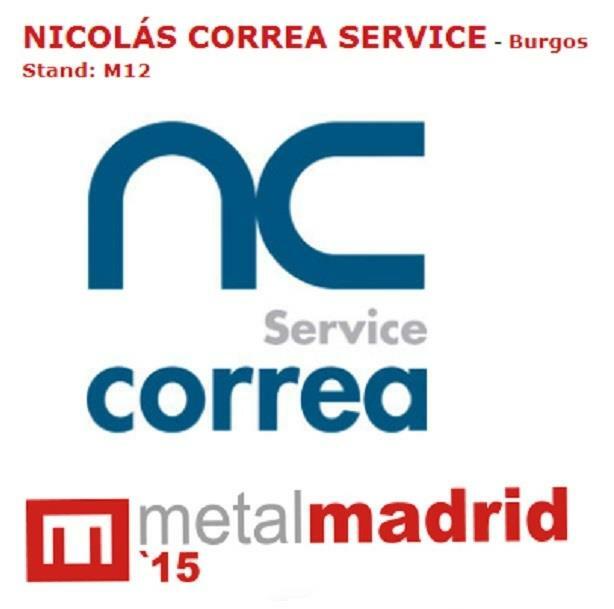 Nicolás Correa Service, S.A. is to be present as a first-time exhibitor at this eighth edition of the METAL MADRID 2015 Fair to be held on the 4th and 5th of November in Pavilion 6 of the IFEMA Convention and Congress Centre in Madrid. Nicolás Correa Service, S.A. made a presentation on the company´s commitment to online marketing during the INDUSMEDIA 2015 workshops held on 20th October at the Fundación Orona IDeO Building in San Sebastian. 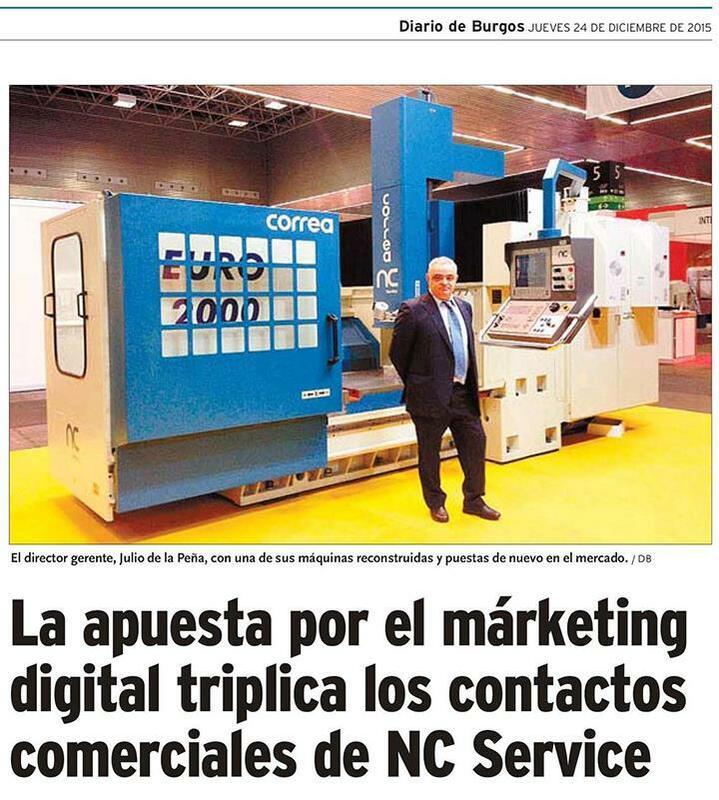 Nicolás Correa Service, S.A. was present as an exhibitor at the second edition of the Pre-owned and Used Machinery Fair FITMAQ 2015, held from the 26th to 29th May 2015 at the grounds of the BEC (Bilbao Exhibition Centre), in the city of Bilbao.